In an act of solidarity Windsor customs agents are collecting money to send pizza to Detroit agents. The union respresenting customs and immigration workers in Canada is collecting money to send pizza and other food to American customs and border control agents. Americans working in essential services are currently working without pay due to the 28-day government shutdown —the longest in country's history. Union president Ken Turner said the two agencies work closely together and the Canadians wanted to help. "Other than the fact that we know that they're not being paid and obviously the financial hardships that accompany that," he said. "We haven't had a whole lot of dialogue politically about the issue but we know they're hurting." He said all of the officers are making small financial contributions to buy the pizza. Their good deed is inspired by another good deed earlier this week. "We're doing this locally, but we were inspired by our counterparts in the air traffic controller area, who did the same thing for their U.S. counterparts," Turner said. 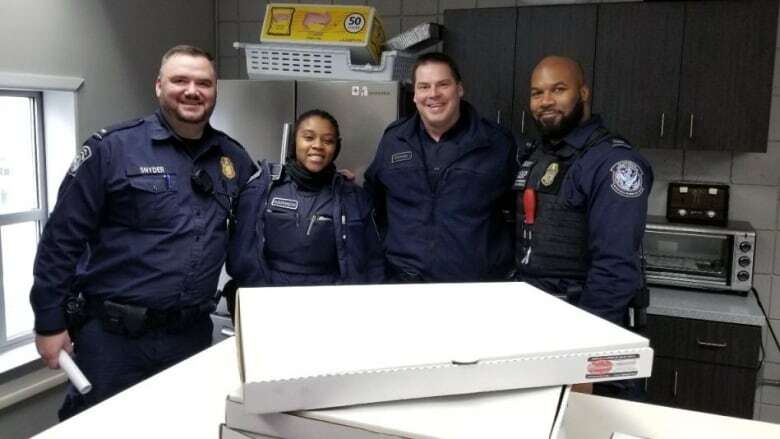 The Canadian Air Traffic Control Association units in Gander, N.L., and Moncton, N.B., ordered pizzas for all of their colleagues at the control centre on Long Island. Back in Windsor, Turner said the union will continue to collect money until the end of day on Jan. 18, then send out the pizzas shortly. "We support our U.S. counterparts and we sympathize with what they're going through."